Are you prepared for 2015 with a Kohler 48RCL? 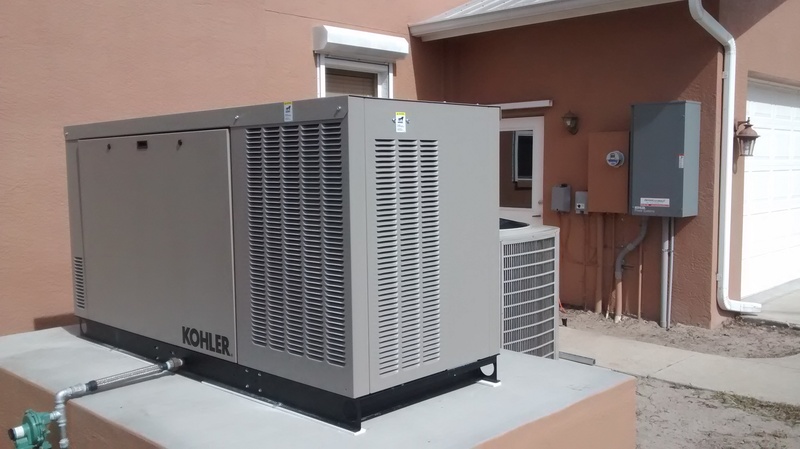 This customer is prepared for 2015 with this whole house, 48kw, liquid cooled, 1800 RPM, clean power Kohler generator. This generator can respond to a power outage within seconds! Upon a power outage the automatic transfer switch(located next to the electric meter) detects no power and sends a signal to the generator and starts the generator. Once power is detected from the generator the automatic transfer switch takes over and switches the home from utility power to generator power. All that takes place in less than 10 seconds! That process reverses once utility power is restored. With the degrading power grid, severe storms, dirty power and failing equipment, doesn’t it make sense to back up your home with reliable, affordable clean power? Call today and get a free estimate for your own Kohler 48RCL.